The brand name for the finest gloriosa lillies. Gloriosa Rothschildiana is native to the South African wilderness. 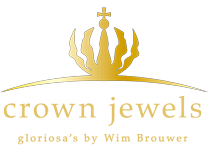 The indigenous types don’t keep very well and therefore aren’t properly suited for florist or individual customer. 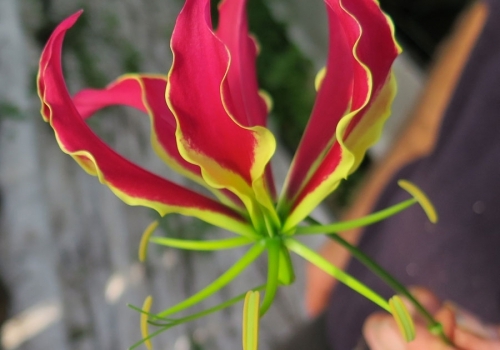 The gloriosa lily comes from a bulb. The lillies grow to be approximately 2 meters (6.5 feet) high. Depending on the size of the bulb, the plant will render 20 to 30 flowers. 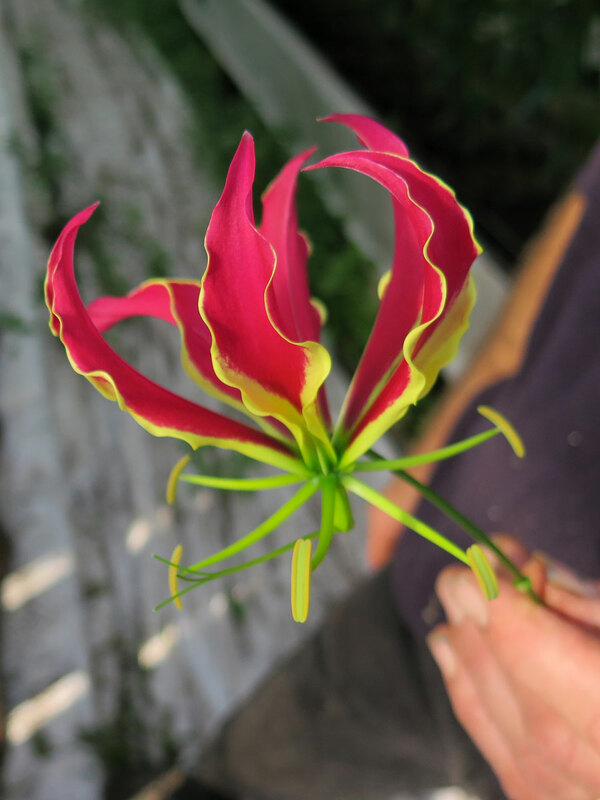 Gloriosa lillies, both plants and flowers, are inedible and shouldn’t be ingested. Gloriosa lily cut flowers and potted plants. Crown Jewels Gloriosa lily cut flowers are available all year round in various sizes. 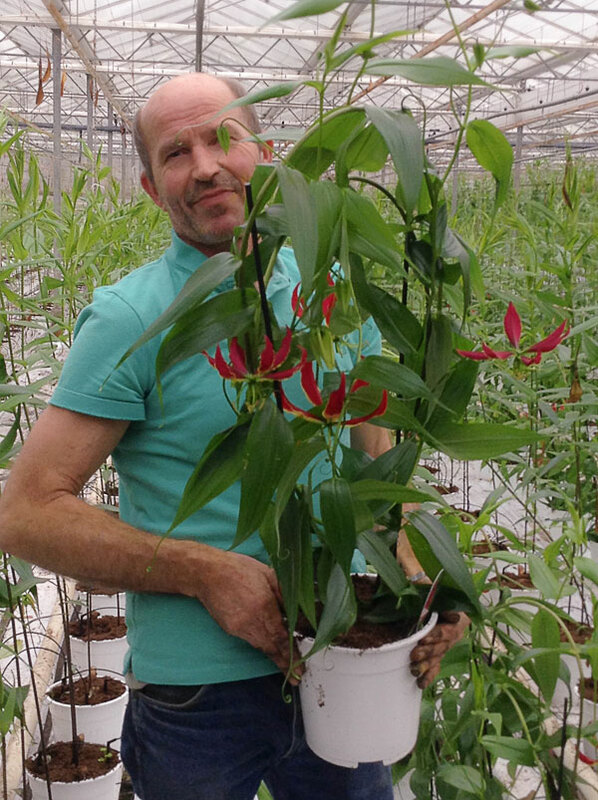 The gloriosa lily potted plants are available from March until September in various sizes. The beauty, exclusivity and charisma of these flowers makes them exceedingly attractive to a growing number of customers. Gloriosa lily potted plants are available in various shapes and sizes. Gloriosa lily potted plants are available with a trellis, with a double arched-trellis, or with an A-frame trellis. An excellent choice for a summer balcony or terrace. 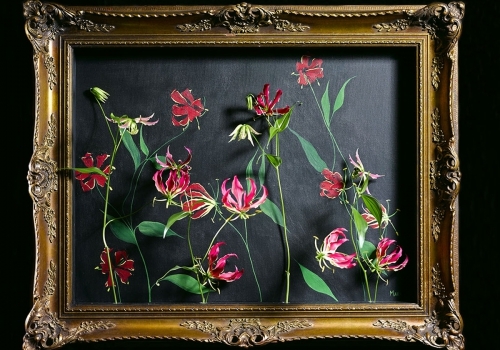 There are countless ways of using gloriosa lillies when creating unique flower arrangements and bouquets for events, parties and weddings. We’ll be glad to inspire you with some gorgeous examples. Truly beautiful flowers must feature a striking contour, and that is exactly where the gloriosa lily fulfils all expectations. 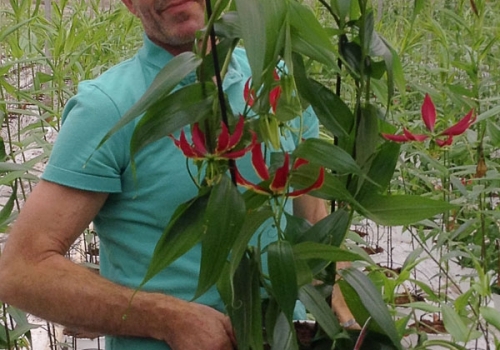 Not everybody is familiar with the gloriosa lily, which makes it an excellent topic of conversation with customers. We adore them! The gloriosa lily is a fantastic flower because it can augment an arrangement of flowers as well as stand alone. The flower has an exotic exuberance. 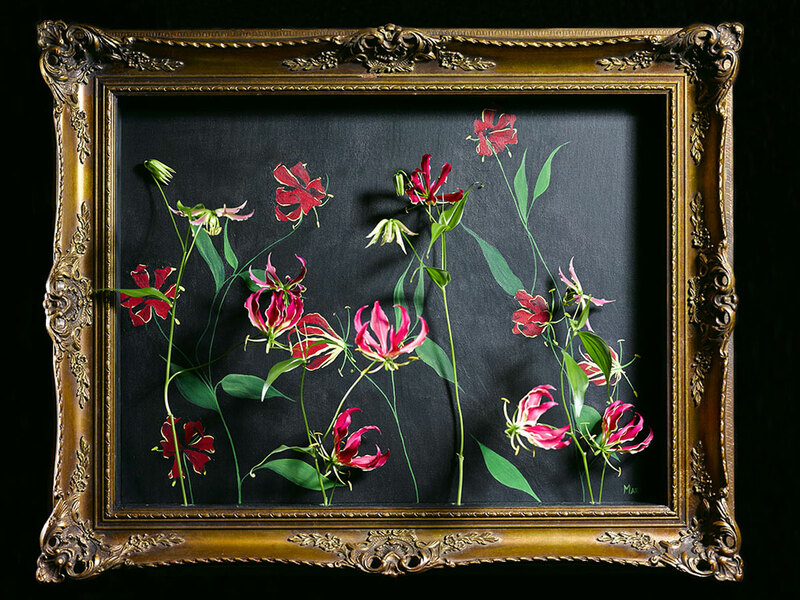 Gloriosa lillies have a certain delicateness; the movement in the branches and even the elegance of the leaves... the flower is superior in its unique character and shape.